I started this book in February and it got abandoned for Caraval by Stephanie Garber, sadly. My main goal for March was to get this finished, and i did it! It was the first book that i completed and ended up absolutely loving it. You can see my full review HERE if you want to know more about my thoughts. 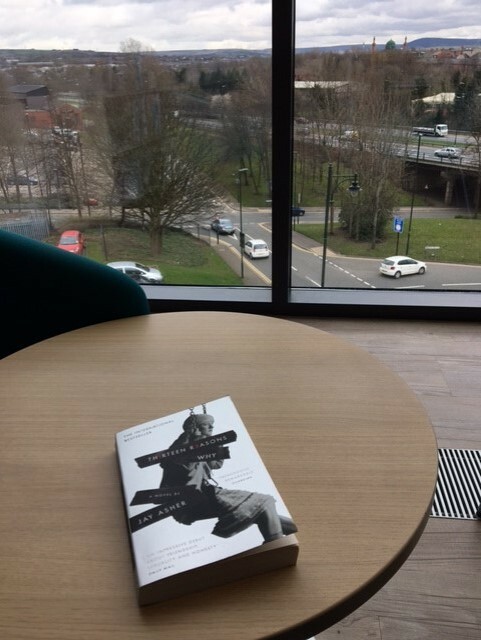 It’s a fantastic magical realism, modern fairytale about Arthur Braxton and the wonderful mix of characters he finds living in the Oracle in his home town. It’s a story about growing up and first loves, and easily one of the best stories i’ve ever read. We Are Okay is our LGBTQ+ Book Club pick for March-April, and i got around to reading it quite early i think! I wanted to read it early to get involved with all the exciting chat about it in the next month or so. This YA contemporary novel is an extremely fast read and i got through it in a few days. It was also one of my favourite books of LaCour’s and made me even more excited (if that was possible) about any upcoming work she has in store for us. It’s a wonderful story about first relationships, family, friends and growing up in to an adult. I advise you to pick this one up. I have my full review HERE if you want to take a look. I picked up Thirteen Reasons Why this month in anticipation for the Netflix series about to be released. I’ve actually had it on my shelf for quite some time, and finally got around to reading it. It’s the second book i’ve read by Jay Asher, and i was just as disappointed as with the first. I read What Light over Christmas and found it to be forgettable, this was similar. I’ll have a full review up in the next few weeks so keep your eyes out for that. If you don’t know, the story is about Clay, a teenager who is sent some tapes after the death of his friend and crush, Hannah. He has to figure out who around him played apart in her death and deal with his own involvement. Thirteen Reasons Why was an okay book, but i was hoping for so much more. 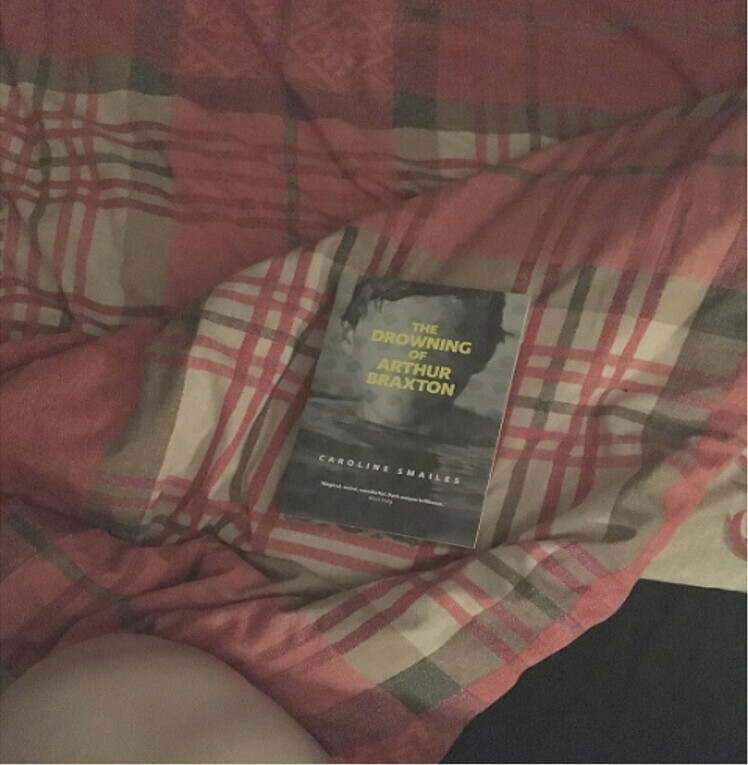 The last novel that i got around to this month was The Accident Season, there will be a full review up of this really soon if you want to know my full thoughts. This is another book that’s been on my shelf for a long time, waiting to be read. I did enjoy it, it was a fun story with some unexpected twists that really did make picking it up worth it. In some ways, it reminded me of We Were Liers. 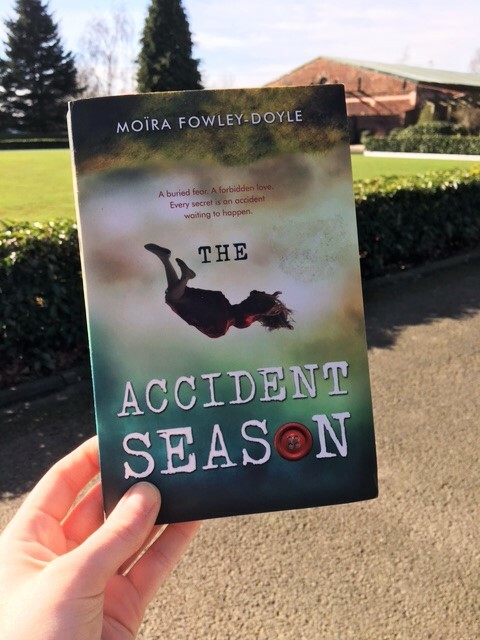 The Accident Season was a very unique book with a unique plot that i wasn’t expecting going in to it. YA books have become very similar to me once again (it happens a lot when you read a lot of them at once) and this novel refreshed my thoughts on the genre. I sneakily picked up a poetry collection right at the end of the month and adored it. Once again (as always) there will be a full review up soon. 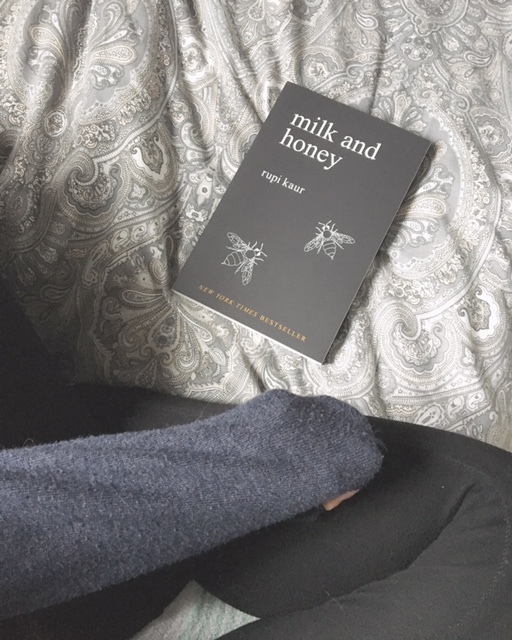 I’m sure most of you are aware that Milk and Honey is a story of feminism, abuse, love and loss and it is told within four parts of the book. It’s taken me a long time to finally pick it up and boy do i regret it. I cannot tell you how much i loved this collection of poems. There are at least fifteen poems in this book that i want pinned up on my walls. It’s beautifully empowering and stunningly written. It’s made me fall in love with poetry all over again. I’m definitely back on track to my end of year goal after my awful February reading month! I’m pleased with the amount i got read, and i ended up reading some books that i absolutely loved. Onward and upward for April!